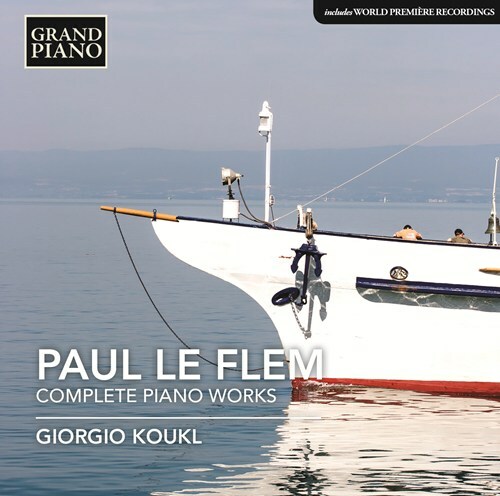 Paul Le Flem belonged to the Parisian circle of Martinu, Tcherepnin and Tansman, summing up his own music as a fusion of three influences: his native Brittany, Debussy and D'Indy. His career was sadly interrupted by World War I, but the intense poetry of his earlier works reflect the ever-changing land and seascapes of Brittany, and the variety of its mysteries and legends from the lighthearted to the disquieting. Of special note among the premiere recordings on this album are the atonal Pour la Main Droite, the wartime Melancolie with its opening and perhaps ironic quotation from La Marseillaise, and Les Korrigans, a waltz inspired by the Korrigan, a magical creature in Breton folklore. If you like Le Flem: Complete Piano Works, please tell your friends! You can easily share this page directly on Facebook, Twitter and via e-mail below.